It’s one of those, “I can’t believe we got in this room” moments where you have a great American tradition with true American heroes, an A-list American country star and one of the hottest comedians in America. Now lets Rewind for just a minute. Close your eyes. Focus on the darkness… Now open your eyes and plug your ears. Focus on the silence… No street noise, no baby crying, no dog barking or sounds of family members laughing… No music. The biggest event in the world has been the election of Donald Trump to President of the United States. We were able to tell this story for every major network news organization for a year and a half. We were honored to be at the inauguration for CNN and to cover the Veteran’s Inaugural Ball for Songs for Sound. Comedian and military veteran, Drew Carey, hosted the evening. “It’s not every day you get to shake the hand of someone who helped defeat Hitler,” said Carey when he spoke to our crew about why he immediately took the gig to emcee. 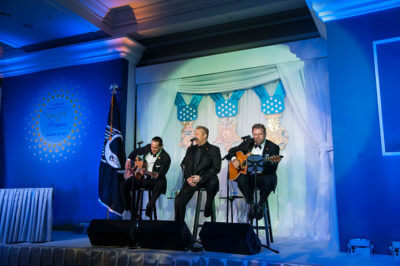 Rascal Flatts‘ lead singer Gary LeVox performed with songwriters that have written several country hits and they were on hand to entertain all who attended, including Vice President Mike Pence. Gary hung out with us in his green room before going on stage. He’s passionate about music and his niece Lexi. What a great performer and uncle. 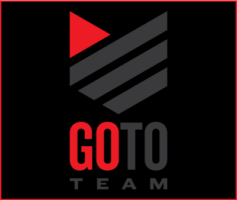 Gary and his writers donated the rights to one of his songs to use in the background of the video we are making for Songs for Sound. 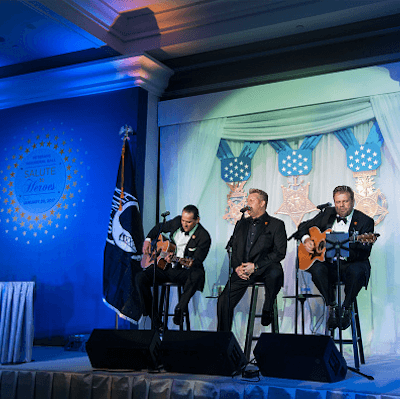 Two great causes collided that night – free hearing help and honoring the Medal of Honor recipients. It was an honor to be there for Jaime and Lexi. It was a pleasure to serve them the way they’ve so passionately served others.